54' President 1996 This is a beautiful, comfortable, roomy boat with lots of exceptional features ! 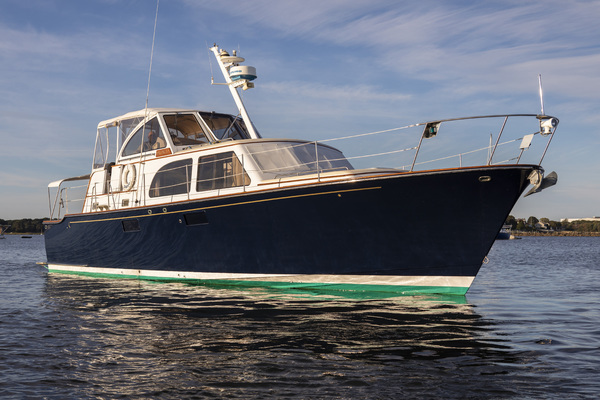 United Yacht Sales New Jersey would love to guide you through a personal showing of this 54' President 545 1996. This yacht for sale is located in Orange Beach, Alabama and priced at $295,000. For a showing please contact us by filling out the form on this page and we will get back to you shortly! Large flybridge with abundant seating, two captain chairs, storage under seating with two stationary tables. The flybridge has Eisenglass enclosure and a McDonald hard top. All new Garmin 4kw radar, Garmin navigation system and sonar system, engine room cameras displayed on all Garmin units. Large aft deck with teak furniture making a great area for entertaining outside. There are 2 wing doors going off the aft deck to the port and starboard sides. Caterpillar 3176 completely overhauled by Caterpillar at 1000 hours and 664 hours on engines since complete factory rebuild.